It is a heart-wrenching video, full of love, yes, but also the profound sadness that comes from losing a dear friend far too soon to breast cancer. Lydia Tomek tries to hold it all together, but the tears come. And they still come. 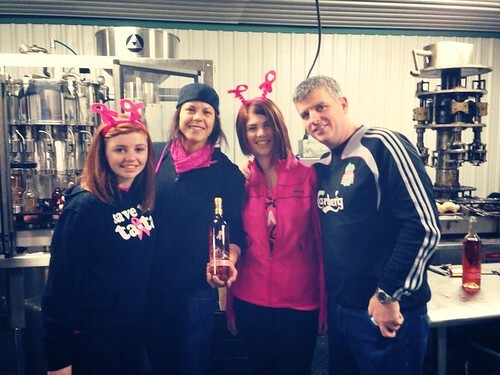 On Valentine’s Day, the Hernder Estate winemaker is releasing her tribute wine to friend Audrey Davies, the Virgil mom of two daughters, Stephanie and Sam, aged 16 and 20 and husband, Michael, who passed away on Sept. 16 after a courageous but short battle with breast cancer. First bottle of Pink 2.0 — Audrey's Blend. With Stephanie Davies, Lydia Tomek, Sam Davies and Mike Davies. 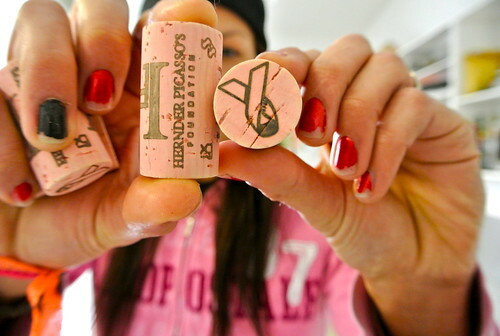 It is called Hernder Pink Ver 2.0 Audrey’s Blend 2011. The rose is made of Chardonnay and Cabernet Franc, an unusual blend to be sure, but in its fruity bouquet and bold flavours it seems perfectly suited to the memory of Davies, a devoted Chardonnay lover. “My friend Audrey loved wine but she really loved Chardonnay so I wanted to make a rose with Chardonnay. I don’t care what people think — that’s Audrey,” Tomek says. That day in September when Davies died was devastating for Tomek. No one knew that the pain Davies was experiencing was related to the cancer. Everyone thought the radiation treatments had helped. “I now know that the cancer had spread,” says Tomek. A month to the day passed with much mourning and sadness about the friend she had come to love, the memories of their time in Virgil, playing in a rock band together, swimming in Davies’ pool and just hanging out with the family. There was much to mourn, but also a lot to celebrate in that friendship. Tomek chose to celebrate. Tomek spent a long day in the winery picking the parcels of Chardonnay and Cabernet Franc that would make up the Audrey Blend Rose. And while she concocted the blend, she recorded this heart-wrenching video (see below) that is impossible to watch without being touched by the raw emotion that went into it. The Hernder Pink Ver 2.0 Audrey’s Blend 2011 is a delicious rose with apple and pear notes followed by crisp cherry-raspberry, cranberry and subtle herbs. It’s finished completely dry and has pretty good weight for a rose. The blend ended up being 35% Chardonnay with the rest Cabernet Franc. This version of Hernder’s Pink, which was started in 2006, is made in support of the winery’s Hernder Picasso Foundation, which has pledged $250,000 to the Walker Family Cancer Centre in St. Catharines. The wine retails at the winery (Hernder does not sell its wine through the LCBO, only at their cellar door or you can reserve some here at winesales@hernder.com) for $12.95, with $3 from every bottle going directly to the Hernder Picasso Foundation in Audrey’s name. It is being released, appropriately, on Valentine’s Day. Tomek has since made three other videos, one with Audrey’s family helping with the bottling, which you can see here on Tomek’s facebook page. It is a beautiful thing Tomek has done. 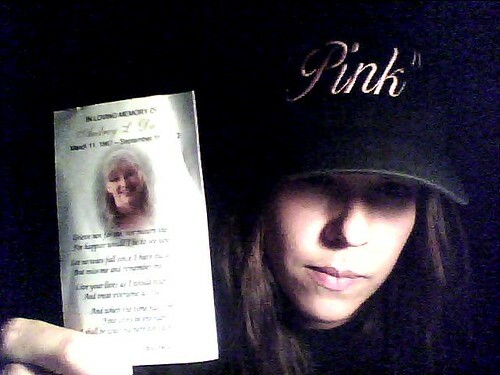 You can’t help but feel the love and passion of her “Pink” project in honour of her friend. “It’s hard. I just can’t imagine going through that,” Tomek says. This Valentine’s Day, why not make it Pink. Afterall, it’s made purely from the heart. This is a wonderful tribute to a true wine lover from a terrific wine maker. We’ll be raising a glass (or two) this Valentines Day!